Despite the relative lack of widespread viruses and malware on the Mac, some people still feel more comfortable running an antivirus program. Those folks now have a new option in the form of Intego’s VirusBarrier Plus, based on the company’s VirusBarrier X6 antivirus and anti-malware tool. For those who prefer to have their Macs checked regularly, VirusBarrier Plus can run scheduled scans, or you can manually scan folders, files, and volumes when you like using either the Quick Scan or Full Scan modes. There’s also a command-line tool that lets you go deeper into the Mac’s operating systems, scanning and repairing all the files on your computer. And despite all this functionality, Intego says that VirusBarrier Plus won’t adversely affect your system’s performance. 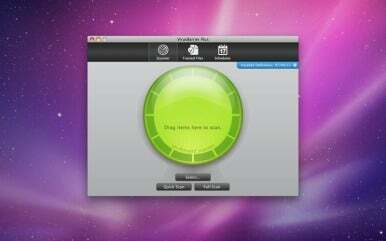 VirusBarrier Plus is available on the Mac App Store for all Macs running Mac OS X 10.6.6 or later. As a limited introductory offer, it’s currently available for $8, a discount off the regular price of $10.